Zetas predicted that because of the Earth Wobble, hurricanes/tropical cyclones will become more frequent and occur in rare places. There has never been a cyclone in this place (at least not officially registered). 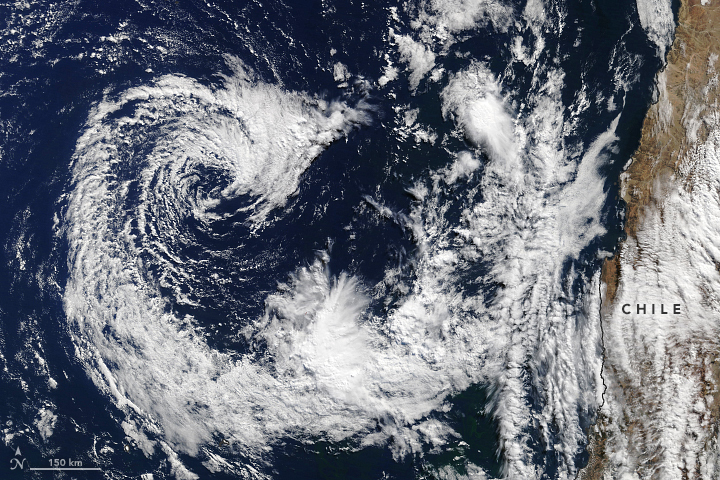 A rare subtropical cyclone appears to have developed off the coast of Chile. No subtropical or tropical cyclones have been recognized in that part of the world. Cold water typically inhibits tropical development near South America. An exceptionally rare subtropical storm appears to have formed off the central coast of Chile in the southeast Pacific Ocean, typically one of the world's most tropical cyclone devoid ocean basins. The subtropical cyclone formed late last weekend several hundred miles west of the South American coast. "The southeast Pacific isn't the only basin where some subtropical or even tropical cyclones go undeclared. There are two reasons why we don't see more subtropical or tropical storms in some ocean basins: Lack of responsibility and lack of good conditions. Part of the reason that no tropical or subtropical cyclone has ever been named is because there is nobody to name such a storm. 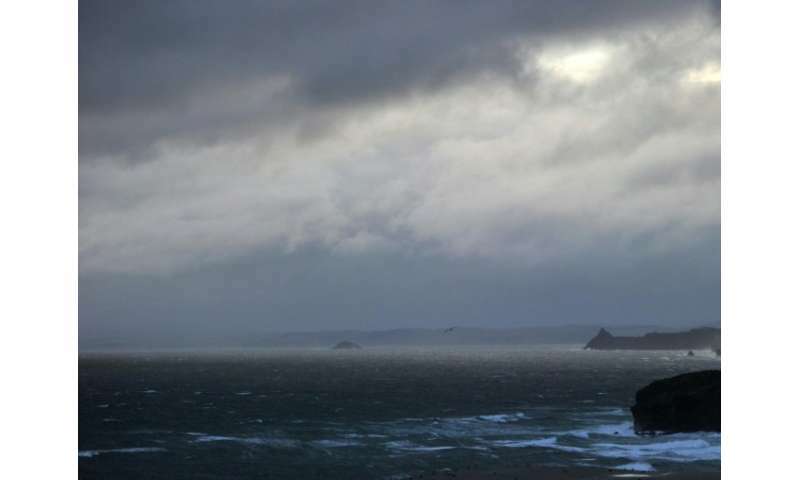 A buoy recorded the wave on Tuesday during a ferocious storm in the notoriously wild Southern Ocean near Campbell Island, some 700 kilometres (430 miles) south of New Zealand, research body MetOcean Solutions said. 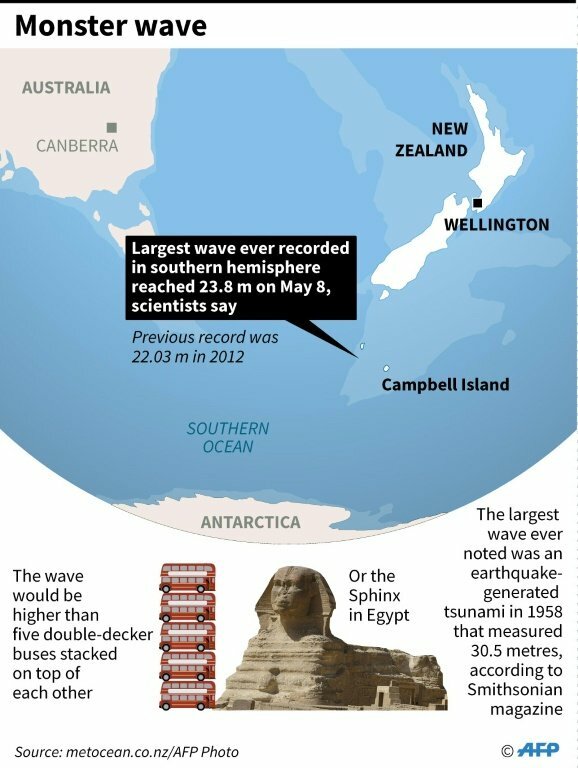 Senior oceanographer Tom Durrant said it wiped out the previous southern-hemisphere record of 22.03 metres recorded in 2012. The cyclone was formed around May 5, and the record wave was registered on May 8. Quite a strange coincidence. Another proof of the Earth Wobble. Bulletin of the American Meteorological Society, 91, 363-376.